A row of wine glasses filled with all manner of ingredients help train Sunday School attendees pick up on the subtleties of smells. 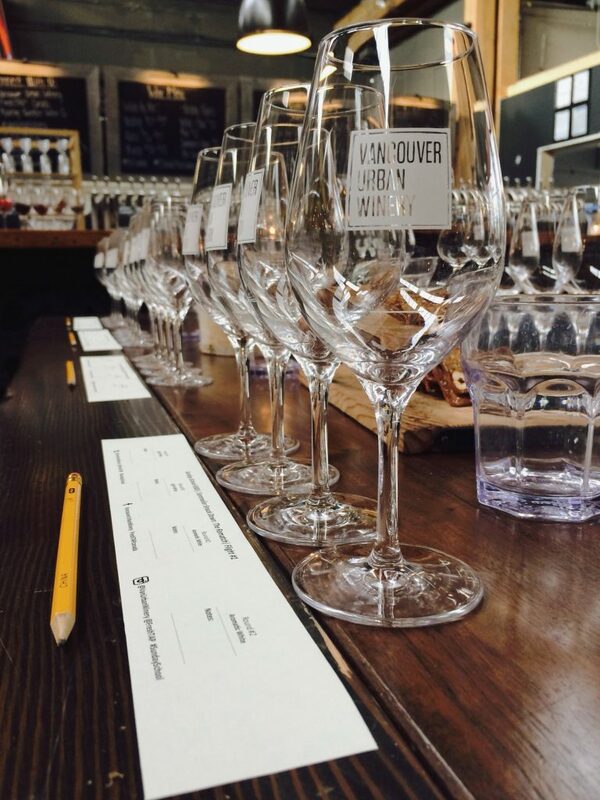 Sunday School at the Vancouver Urban Winery demystifies wine through a series of blind tastings. Sommeliers David Stansfield and Lisa Cook prepare for a Sunday School class. 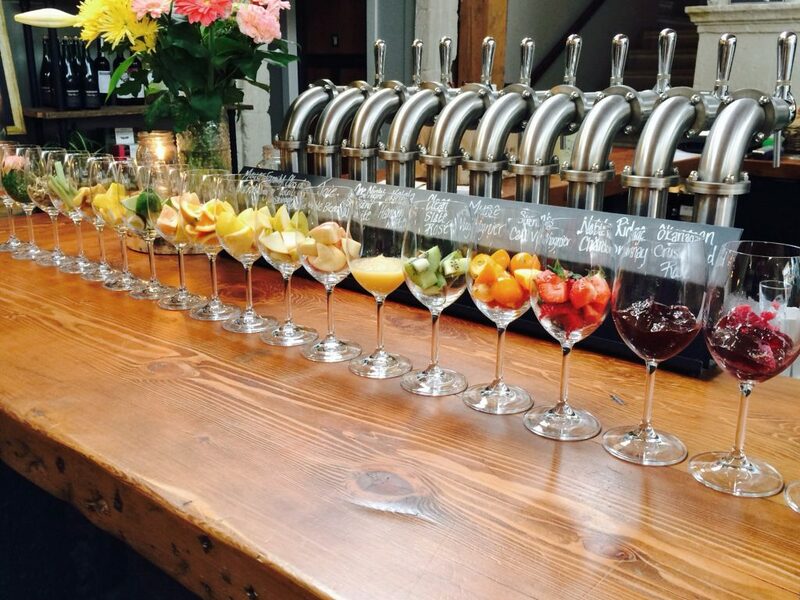 Seminars at Vancouver Urban Winery make one thing clear: this isn’t your average Sunday School. With lofty ceilings, long wooden tables strewn with glasses, and soft light streaming through tall windows onto the rows of barrels that line the space, this isn’t your typical classroom setting either. While participation is expected—you’ll raise your hand, take notes, shout answers, ask questions—you won’t mind. 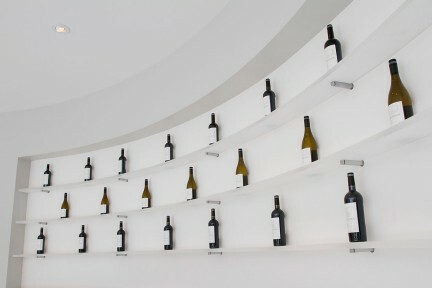 After all, the curriculum is the world of wine, and the best way to learn is to swirl, sniff, and taste it for yourself. Sommeliers David Stansfield and Lisa Cook demystify wine through their Sunday School classes with a series of blind tastings. 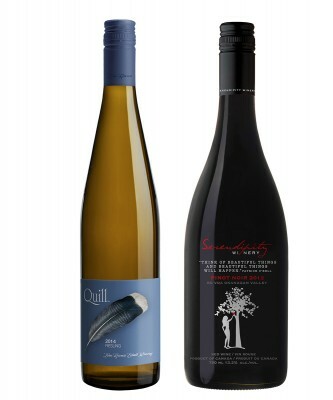 The lesson plan includes understanding wine labels, evaluating aromas and flavours, assessing food pairings, and gauging the value of wine. Both Stansfield and Cook have extensive experience and professional credit to their names. 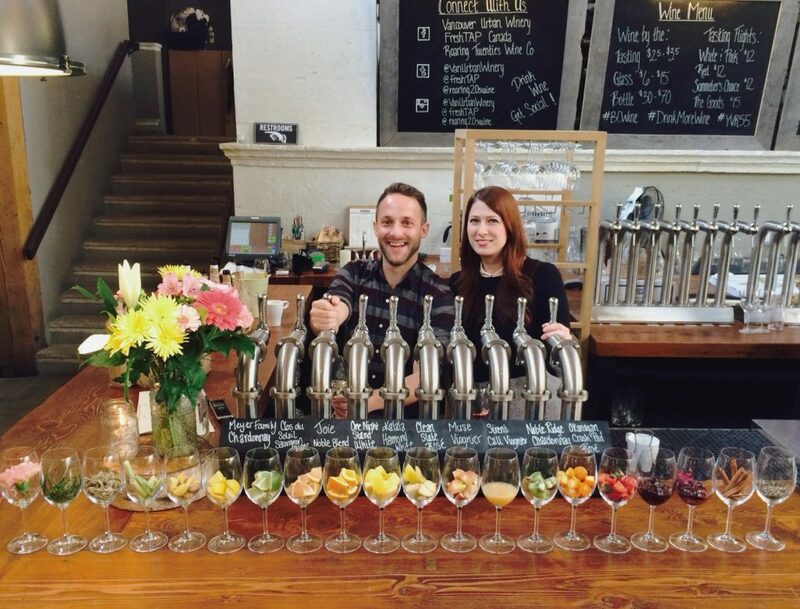 Stansfield is the in-house sommelier at the Vancouver Urban Winery—“the people who brought wine-on-tap to Canada,” he notes—and has created the wine lists for numerous restaurants in Vancouver, including Tap & Barrel and recently-opened spots Bestie and Cuchillo. He’s also an accredited French wine scholar; clearly, he’s done his homework. 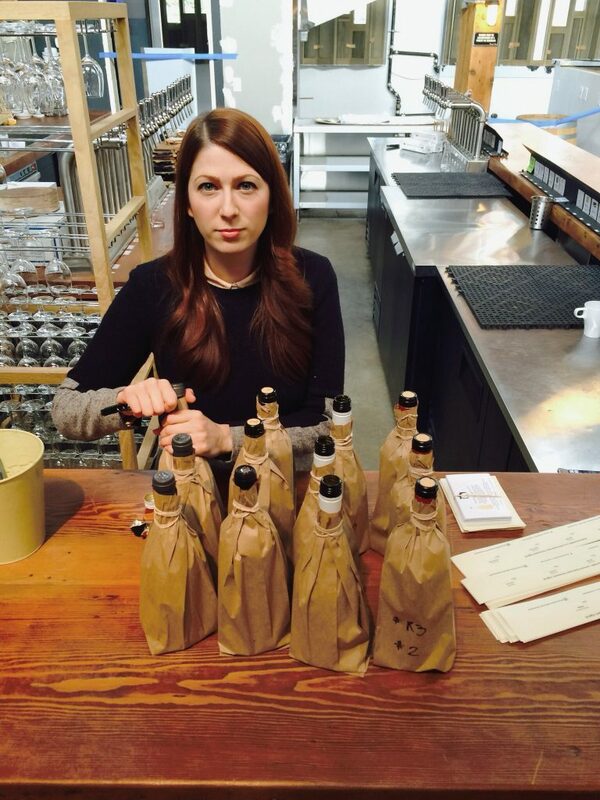 Cook’s background is equally impressive: she created award-winning wine lists for the Wine Room at Joey Bentall One, recently earning a Platinum award at the 2014 Vancouver International Wine Festival. Classes have featured a bit of head-to-head combat, mirroring the style of the instructors, who banter back and forth throughout the class. Recent themes include France vs. the World, and the popular Sommelier Smackdown, where Stansfield and Cook pit their favourite wines against each other and guests vote for the winner. Cook is the undefeated champion, with three wins under her belt. “My mom even voted for her,” Stansfield says, shaking his head. 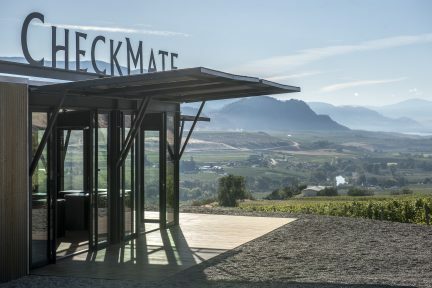 Classes take place in the renamed and revamped Settlement Building, which houses two new ventures along with the Winery: a restaurant, Belgard Kitchen, and a microbrewery, Postmark Brewing. Seminars are now in the afternoon, allowing for after-class snacks or a post-session beer. 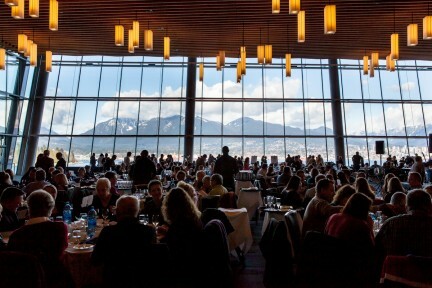 This year’s line-up begins with a class comparing B.C. wines to the rest of the world’s on October 26, a Sommelier Smackdown rematch on November 16, and “The Price is Wrong!” on December 14. Whether you can commit as a part-time or full-time student, Sunday School offers a serious and satisfying education for the senses.